With its close proximity to the Gulf Coast, Houston is in the perfect place for high-quality seafood. Visitors can find popular chain restaurants as well as unique local places with a unique selection of menus. In addition to traditional Gulf flavors, the city’s proximity to Mexico means that many of the restaurants feature Mexican and Tex-Mex flavors in their offerings. 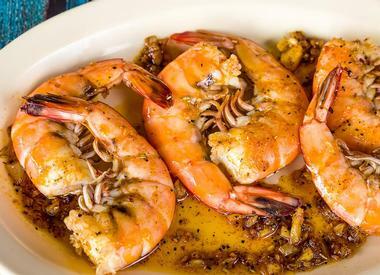 Here are the best seafood restaurants in Houston. Brennan’s of Houston is a decadent Creole eatery and sister restaurant to the world-famous Commander’s Palace in New Orleans. The restaurant has gained a loyal following among locals and tourists over its nearly half a century of operations. The menu includes items that will transport you to the Big Easy, such as turtle soup, gumbo, and shrimp and grits. The menu has also taken on some Texas-inspired twists, including perfectly cooked venison and steaks. Offering a full range of Southern-style seafood, Brennan’s is a decadent, high-end option for satisfying your hunger for seafood. The restaurant is also an ideal place to celebrate a special occasion or meet clients for business. Christie’s Seafood and Steaks has been serving food in the area since 1917 when it began as a food and drink stand near Galveston’s waterfront and later moved to Houston. Over the last century, the restaurant has gained a following in Houston. The family-friendly restaurant is well-known for their fried shrimp, which is served with their famous, homemade remoulade and tarter sauces. In addition to the famous shrimp platters, Christie’s also serves quality sirloin and ribeye steaks, po’ boy sandwiches, salads, and soups. The interior is decorated in a nautical theme and is reminiscent of coastal restaurants from day’s past. SaltAir Seafood Kitchen specializes in Gulf Coast seafood with international influences such as Thai, Middle Eastern, and South American flavors. The dining experience starts with a selection of items from the raw bar, which is full of ceviche and oysters, or several choices of creatively inspired appetizers. One such appetizer is the homemade potato chips served with caviar and French onion dip. Other specialties include grilled octopus with chimichurri sauce and fried calamari. Guests can’t go wrong by finishing their meal with a slice of Key lime pie, chocolate and chili cake, or the chocolate mousse. The atmosphere is open, light, and fresh. Additionally, SaltAir offers several private dining spaces for events and special occasions. Connie’s Seafood Market & Restaurant is a small Mexican seafood eatery with an eclectic style and atmosphere. The experience begins as you walk in the front door and see the assortment of toy, candy, and temporary tattoo machines in the entryway. The eclectic decor consists of bright walls, glass block counters, and neon lights around the ceiling. All in all, it makes for a light-hearted and quirky dining experience. Connie’s has become well known because they allow guests to pick their own fish. The prices are low as well, which keeps people coming back again and again. Some of the most popular items on the menu are the shrimp-fried rice, Connie’s Seafood Platter, and the ever-popular micheladas, an iced Mexican drink made up of beer, lime, and tomato juice. Holley’s Seafood Restaurant and Oyster Bar is the newest brainchild of Houston seafood legend Mark Holley, who was previously at Brennan’s of Houston and at Pesce. The restaurant specializes in Southern flavors with pan-Asian and pan-American influences. The restaurant features several separate seating areas including the main dining room, which is simply but elegantly decorated in shades of blue and black and white. The oyster bar features a seating area for 75 diners and has superb offerings as well as a shucking station. Chef Holley plans to continue hosting his monthly fried chicken dinners, which have become something of a legend in Houston when he was at Pesce. Danton’s Gulf Coast Seafood Kitchen is a popular seafood restaurant in the Museum District, and specializes in Gulf oysters. Guests can choose from an assortment of oysters, including oyster’s Kyle, which is comprised of six Gulf oysters cooked in a seasoned garlic lemon butter. 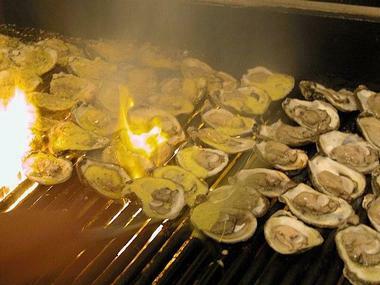 Guests can also order their oysters wood-grilled or deep-fried in peanut oil. Some other specialties include the blackened catfish enchiladas, the signature Crab Danton, and the pecan-crusted rainbow trout. The restaurant is decorated with antique maps from coastal regions and old photos, creating a nostalgic and warm environment. The Sunday Blues Brunch is one of the better brunches in Houston and features live blues music in addition to classic coastal cuisine. Eddie V’s Prime Seafood is a seafood and steak chain restaurant. The restaurant specializes in sustainable fresh fish and therefore the menu can differ from day to day and season to season. Both local as well as more exotic seafood options are used to prepare dishes on the menu. Some of the more popular items are the Chilean sea bass as well as many of the fantastic selections on the raw bar, especially the Island Creek and Pleasant Point oyster varieties. Goode Co. Seafood is a restaurant which specializes in regional, Gulf Coast seafood in a unique railroad setting. The flagship restaurant is located inside a restored decommissioned train car. The restaurant serves perfectly fried oyster po’boys, stuffed crab, and shrimp. Goode Co. is also an expert in mesquite grilling. The grilled catfish con salsa verde, topped with avocado pico de gallo and buttery onions, comes especially recommended. Entrees are generously portioned and are served with heaped sides of garlic bread, empanadas, seasonal vegetables, red beans, seafood rice, or hushpuppies. In addition to the flagship restaurant, Goode Co. has an additional location on Upper Kirby. Masraff’s is a long-time favorite on Houston’s restaurant scene. This premier, elegant restaurant offers a posh experience with a somewhat affordable price tag. Masraff’s is committed to using some of the best ingredients on the planet to serve their tastefully prepared and always fresh dishes. They focus on attentive and excellent service. The menu features many favorites, including an unforgettable herb-seared tuna that is served with wasabi potatoes. The restaurant’s bar area boasts an elevated fireplace that creates a nice ambiance. Alternatively, guests can choose to dine outside on The Patio on the Boulevard near the waterfall. The resident sommelier is an expert at choosing the perfect wine pairing from Masraff’s extensive list. Reef specializes in Gulf Coast seafood with Mediterranean and Asian influences. The chef and co-owner, Bryan Caswell, is an avid fisherman and is committed to supporting sustainable fishing at his restaurant. The menu varies according to the daily catch. Some of the most memorable menu items include the slow-baked salmon, grilled scallops, and crispy skin snapper. Additionally, the 3rd Bar Plateau is a popular platter of raw and salty foods. The restaurant boasts an impressive wine list and a large selection of creative cocktails to wash down your meal. Several light and classy desserts, such as seasonal berries topped with creme fraiche, are the perfect finish to your meal. Tony Mandola has been serving up his menu of Italian dishes and Gulf Coast seafood since the early 1980s. The restaurant’s design and decor is akin to what you might see in the French Quarter of New Orleans. The food is reliably delicious and includes such gems as blackened soft shell crab and fried snapper. Sides include Southern favorites such as onion rings, fries, and Cajun coleslaw. In addition to delicious seafood, the restaurant does not disappoint in its other specialty - Italian food. The spaghetti and meatballs and wood-fired pizzas are worth coming back for again and again. Better yet, combine both of the restaurant’s specialties in a gumbo pizza for a truly original experience. 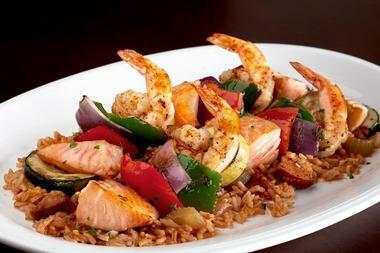 Bayou City Seafood & Pasta is a casual eatery which serves a decidedly Cajun-inspired menu. Although the entire menu is solid, the star of the show is definitely the crawfish. Guests will find them offered in gumbo, pasta dishes, and more. 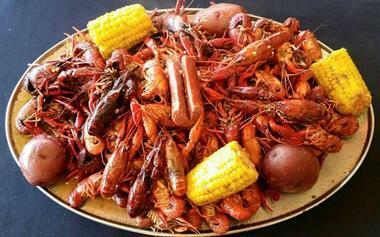 The crawfish at Bayou City are especially well seasoned and come with sides of corn and potatoes. The jambalaya is also a hit, moist and packed full of shrimp. Serving sizes are quite large, so come hungry and bring along some friends to share. The restaurant further offers steep discounts on beer and wine during happy hour. Bluewater Seafood Champions is a crab shack and seafood restaurant. The restaurant is relaxed and very casual and the dining areas include TVs and picnic tables on the porch. The menu features garlic Dungeness crabs and a selection of raw and mesquite-roasted oysters. Bluewater also offers several platter and grilled dinner options, which are served with shrimp-fried rice, green beans, or a side salad and toast. Start your meal with something from the robust menu of starter items, including both traditional and more exotic fare such as fried alligator, fried pickles, quesadillas and an appetizer sampler platter. Patrons flock from all over the city to try the spicy crawfish, which are available seasonally and offered at market price. The restaurant chain features two Houston locations. Caracol Coastal Mexican is a luxurious Mexican Gulf coast seafood restaurant in the Galleria neighborhood of Houston. 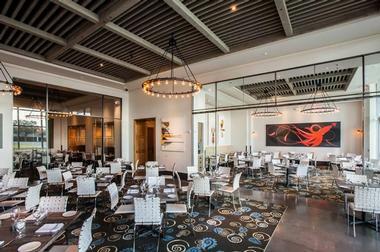 The restaurant has a modern vibe with bright decor and open spaces, while the walls are graced with paintings of sea creatures by Charley Harper. The menu emphasizes Mexican beach food. Some of the favorite items on the menu are the Gulf oysters, which are wood-roasted and served with a fantastic chipotle butter. The conch ceviche is also fantastic. The fresh seafood is definitely the highlight of any visit to Caracol. Whole, grilled fresh fish, lobster tails, shrimp, and more are cooked with Mexican spices, creating an unforgettable meal. Some of the more popular adult beverage options include tequila flights and a decent wine selection. The Sunday buffet brunch is a popular time to visit Caracol and offers a solid selection of tasty seafood offerings. The Fountain View Fish Market is a no-frills fresh seafood market with several dining options. The fresh seafood counter offers a variety of choices from the catch of the day and the menu specializes in deep-fried fare. All of the fried food options are coated in homemade batter and then deep-fried to golden in vegetable oil. Oysters, shrimp, catfish, crab, and more are served as platters with several side options. Additionally, fried seafood sandwiches are served on a humble hamburger bun with lettuce, tasty tartar sauce, and a side of onion rings. The restaurant has a vintage feel and has been operating as a family business since 1980. 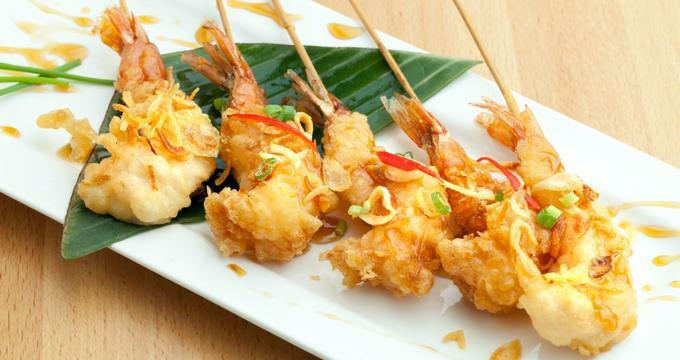 Golden Seafood House is a modern, multi-room seafood restaurant with a bar that serves a tasty and innovative selection of seafood with Asian and Mexican influences. The restaurant is family friendly and has been a favorite in the Houston area since its inception in 1986. Golden Seafood House is known for its ceviche mariscos, which is a spicy seafood soup, as well as fresh made-to-order red snapper, which can be ordered grilled and fried. To wash down your meal, order the classic michelada, which is a special mixed drink containing local or imported beer. The restaurant has two locations on Airline Drive in Houston as well as a location in Katy. 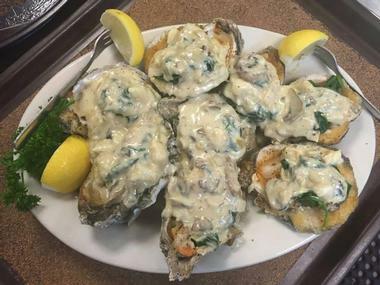 Jimmy G’s Cajun Seafood Restaurant features simple, traditional Creole and Cajun offerings in a relaxed and fun environment. Guests can watch the cooks shuck oysters and boil crawfish in the restaurant’s partially open kitchen. Popular menu options include the Jimmy G’s famous grilled oysters, po’ boy sandwiches, and crawfish more ways than you could imagine. For those who aren’t craving seafood, the menu also includes a few poultry offerings as well as several beef entrees. The restaurant's two private dining rooms make it a popular spot for both business meetings and private events and parties. Jimmy G’s is conveniently located near the George Bush Intercontinental Airport. 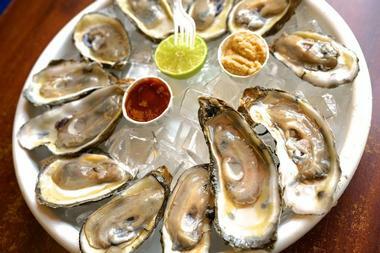 Joyce’s Seafood & Steaks is a family-ran neighborhood eatery specializing in fresh Gulf seafood. The restaurant is decorated in a nautical theme and has a down-home atmosphere that oozes Southern charm. Since opening in 1997, Joyce’s has gained quite the local following and has received some national and statewide recognition. The food blends the traditions of southern Louisiana, the Gulf Coast and Mexico. Items like blackened catfish enchiladas, grilled fish tacos, and crab-cakes with a poblano pepper sauce are great examples of how these flavors have fused to create memorable entrees. For the perfect end to a meal at Joyce’s, finish off with a slice of the ever-popular Southern favorite, Key lime pie. Mambo Seafood is a chain restaurant with several locations in Houston. The restaurant serves seafood that takes flavors from American, Latin, and Pacific cuisines served in family-friendly dining rooms. Mambo features a fresh seafood counter where patrons can view the seafood before ordering from the selection of fish, lobster, shrimp, and more. Items are charged at market price by the pound and prepared to the guest’s liking. Meals can be ordered family style or as individual platters. Mambo’s seafood platters are accompanied by the restaurant’s famous fried rice. The bar area in Mambo’s restaurants includes an oyster shucking station and a selection of adult beverages featuring the signature Mambo Chelada. Pappas Seafood House is one of several Pappas branded restaurants that have locations in the Houston area along with the well-known Pappadeaux restaurant. 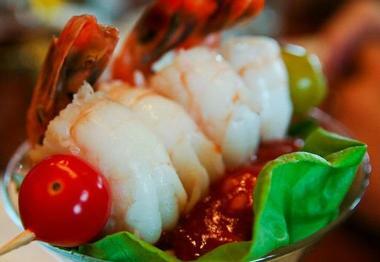 Pappas serves classic seafood favorites both fried and grilled as well as Gulf specialties such as gumbo and étouffée. Guests can choose to start their dining experience with fresh oysters, cooked or raw, as well as make selections from the broad range of appetizers. Appetizer choices include baked crab mac and cheese, shrimp and lump crab cocktails, and more. Many items on the menu can be ordered family style. The atmosphere is casual and laidback, making it a perfect place to celebrate a birthday or other family celebration in one of their private party rooms. Peska Seafood Culture is somewhat new on the Houston restaurant scene. The restaurant is foremost a fresh seafood market that offers seafood from both local and more exotic locations. The owners, brother and sister Maite and Diego Ysita, hail from Mexico and the menu takes some inspiration from the flavors of their home country, however the restaurant features many global items as well. The free-flow brunch has seven fishes and several options of side items. Some of the highlights include the Spanish huevos rancheros and the praise-worthy French toast. Chef Omar Pereney at Peska previously had his own Spanish-language cooking show. 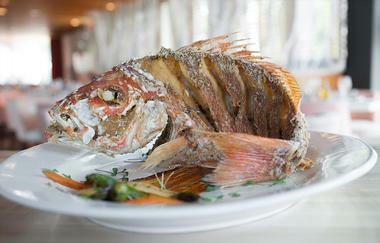 Red Fish Seafood Grill is a globally inspired seafood eatery that is owned by the chef himself. The restaurant serves sushi, sashimi, and nigiri, which include some gigantic rolls at a reasonable price. The fish is very fresh and prepared simply but deliciously. The fish really shines on the plate with just a bit of butter, lemon, herbs, and spices. 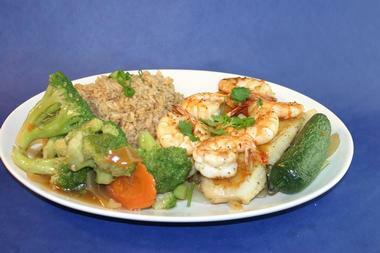 Red Fish also serves fried seafood, including the very popular fried shrimp. For those who would prefer something other than fish, the restaurant also serves grilled steak, veal, and duck. Red Fish Grill has two locations in Houston. USA Seafood Grill and Bar is a locally owned business with two locations in Houston. The menu includes a wide variety of items, but USA Seafood is known for their seafood. The USA Seafood Platter is a good option for first timers and is piled high with battered and fried seafood, including tilapia fillet, fried shrimp, a whole crab, french fries, fried rice, and more. Additionally, the menu includes many Tex-Mex and Mexican food items as well as some Cajun and Creole-inspired dishes. There is really something for every palate. USA Seafood Grill and Bar is able to accommodate large groups and is therefore a good option for parties and large family outings. 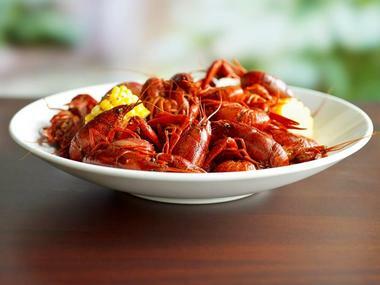 Willie G’s Seafood and Steaks is an upscale seafood restaurant in Houston’s Galleria area. 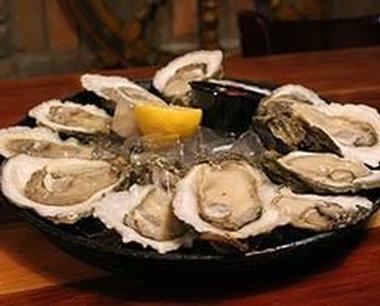 The restaurant is well known for fresh shucked oysters, a selection of delicious seafood, and cocktails. The raw bar serves a variety of shellfish cocktails and raw oysters as well as a selection of classic seafood appetizers. Entree specialties range from fresh fish of the day, which is rigorously chosen for quality and freshness, to baked, fried, and broiled shellfish and seafood as well as some steaks and poultry offerings. Willie G’s has locations in both Houston and Galveston as well as throughout the country.